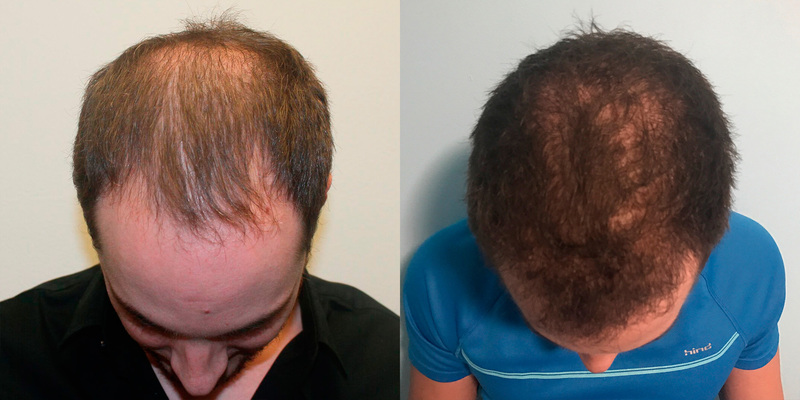 This patient vowed for an alternative before turning to a hair transplant. He opted to get a tattoo, attempting to cover his hair loss. When that wasn't sufficient, he decided to give our world-renowned method a try. 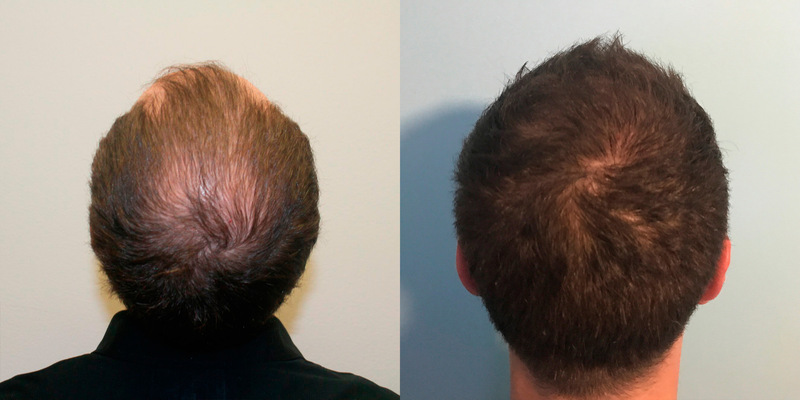 This patient took advantage of Dr. Bolton's patented MaxHarvest Plus™ procedure and was able to cover his entire head with hair. 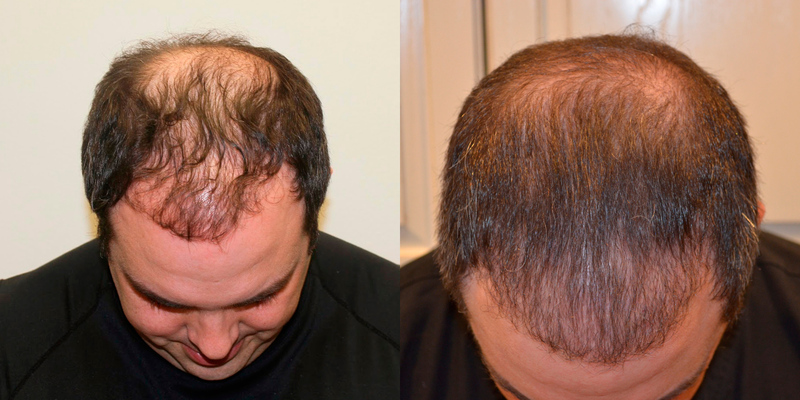 In 8 short months, this patient has completely restored his hair and appearance. 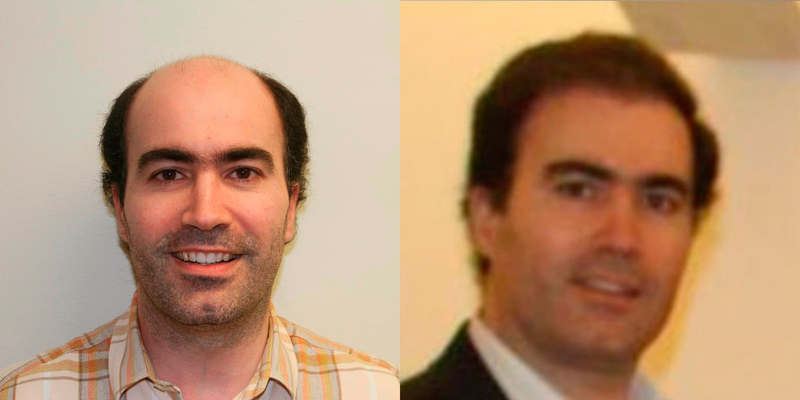 He is just passing the half-way point and still has much more growth to come. 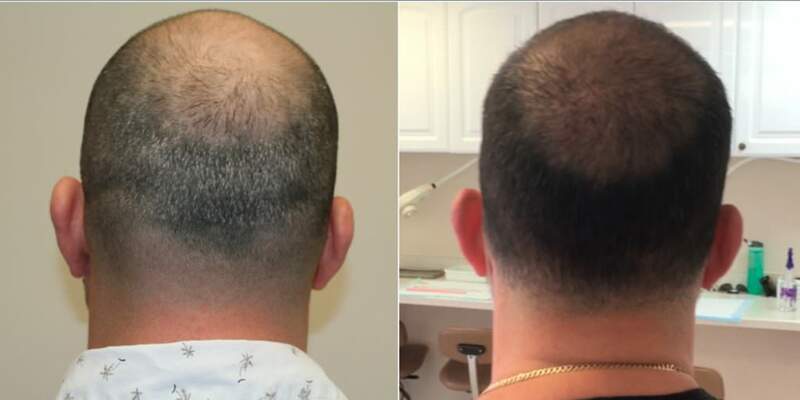 We know that it is tough to process all of the different options that you are presented with when considering hair restoration, but we encourage you to learn from others' mistakes or experiences. 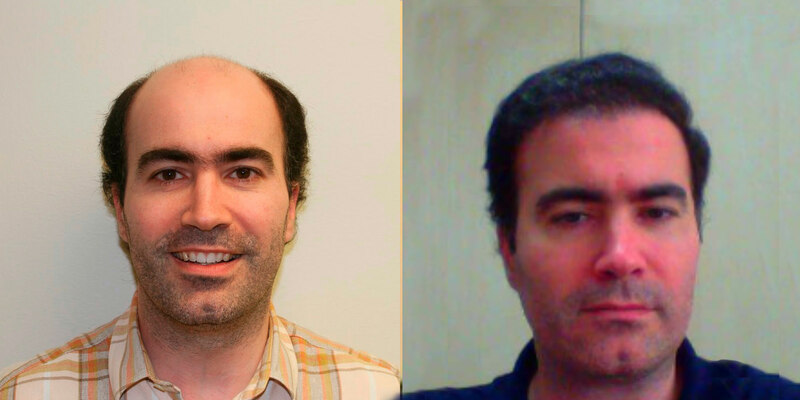 You can save yourself a lot of time, money, stress, and of course, hair. Many patients put themselves in a situation where they try every disproved method, prior to the proven ones. During that time, they lose a considerable amount of hair that they could have otherwise saved, had they been advised and treated properly. If you have any questions, please do not hesitate to reach out to us so that we can ensure that you are on the best path. 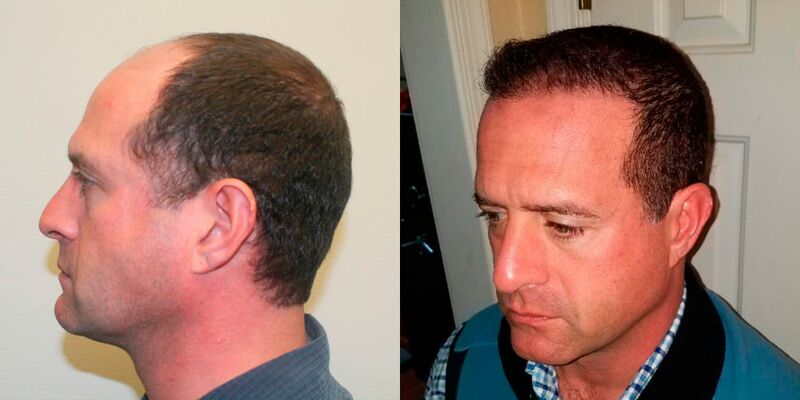 There is a good reason why people from all over the world fly in to have Dr. Bolton perform their hair transplants. When it comes to restoring your appearance, there is no room for mistakes. It is simply not worth the risk to save a little bit of money and have your procedure performed locally with a less qualified and skilled doctor. 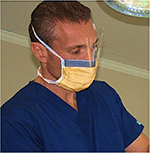 Dr. Bolton offers a travel credit that can be used toward the cost of the procedure for anyone that isn't local. We guarantee that this patient is glad he flew in to receive his results. 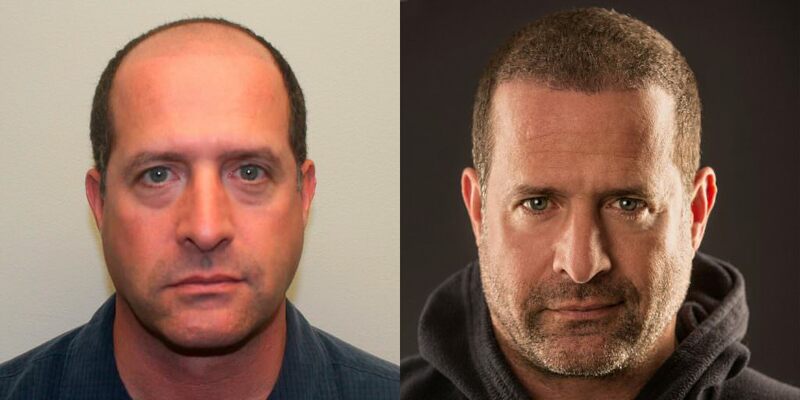 This patient went from bald, to a full head of hair by opting for Dr. Brett Bolton's patented MaxHarvest Plus™ hair transplant. This is a very interesting case, as the patient owns 7 med spas in New England. 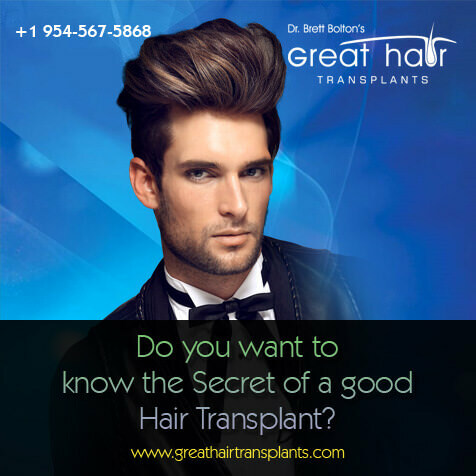 He was ready to offer hair transplants in his office that featured a machine that extracts tissue. That type of procedure is called FUE. After seeing a few of Dr. Bolton's patients in his office he cancelled his plans to buy the machine. 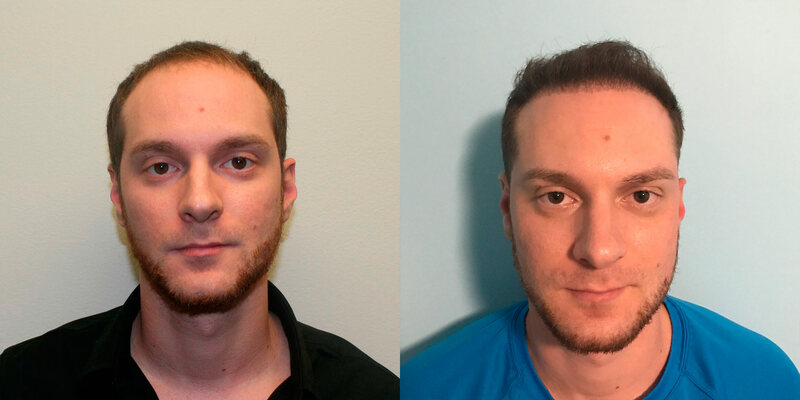 He realized he could not offer his clients the type of results they deserved with the limited technology of the FUE devices. 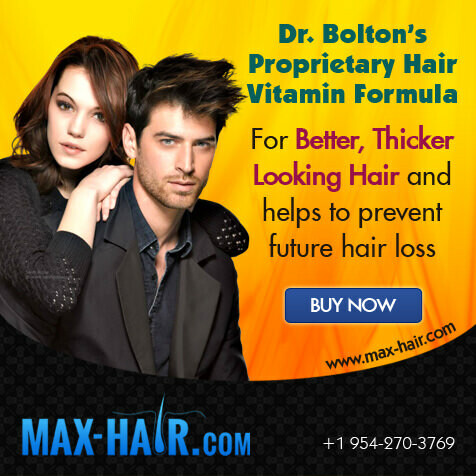 He flew in to Fort Lauderdale and gave Dr. Bolton the okay to get as many hairs as he could safely. 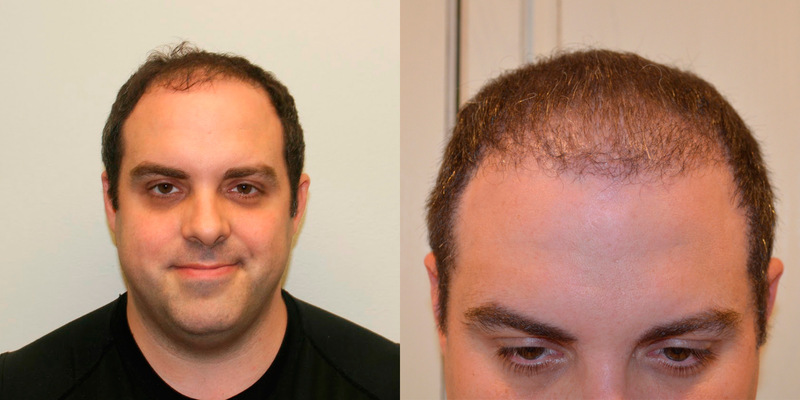 Dr. Bolton extracted over 14,500 hairs in less then 45 minutes and the entire procedure was finished in under 6 hours. 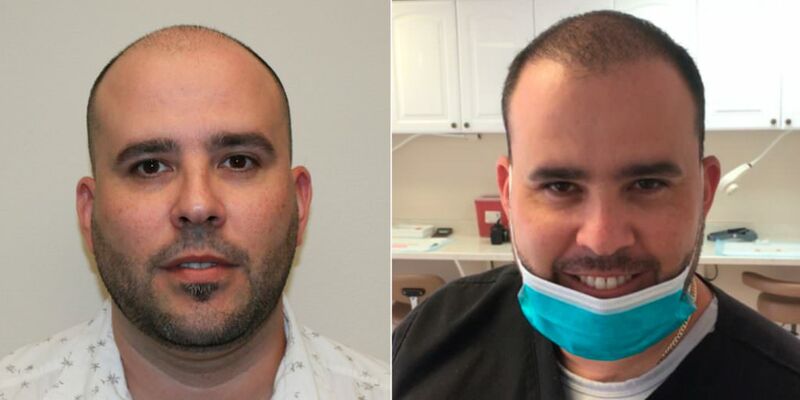 The patient was so impressed by Dr. Bolton that he will now offer his clients the opportunity to have the same experience he had. We look forward to working with Scott in the future and helping his patients as well. 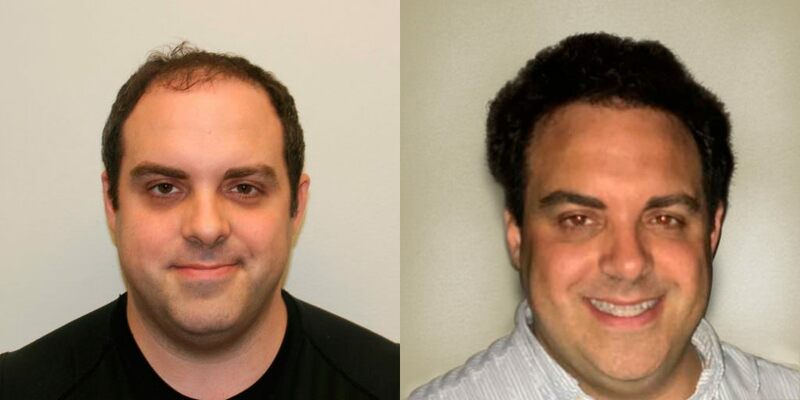 Dr. Bolton was able to accomplish every goal this patient had. Create a new hair line. Build out the temple peaks on the sides. 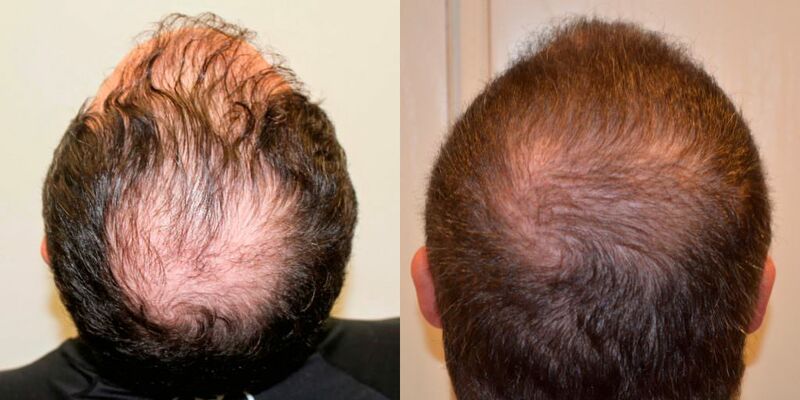 Cover the entire scalp and area of hair loss from front through the crown. Scott promises to keep us posted with pics on his progress in the coming months. We can't wait and we are very excited to see the outcome of his case. You cannot get this type of care and treatment anywhere else in the world. 14,500 hairs plus in under 6 hours is unheard of! 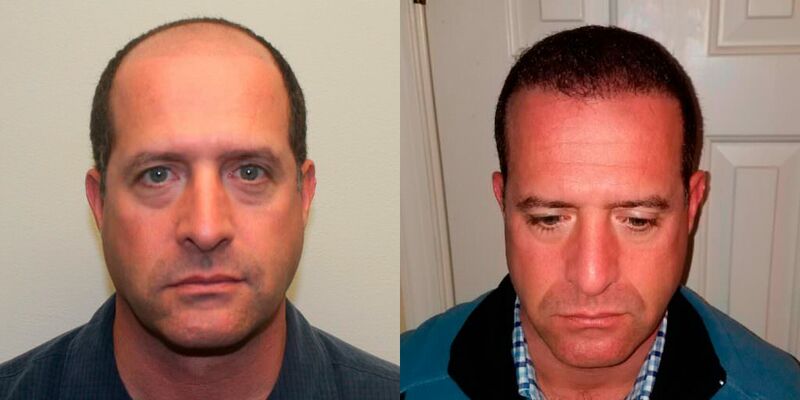 This patient had 1 MaxHarvest Plus™ procedure and these are his results after just 4 months! 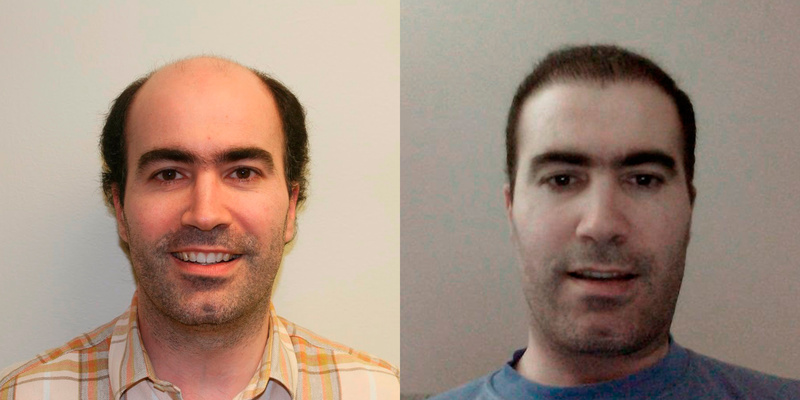 He isn't even halfway to his final results and he already looks exponentially better than he did before his procedure.